Premium Drinks INCLUSIVE. Entrance to the event and GOOD VIBES! 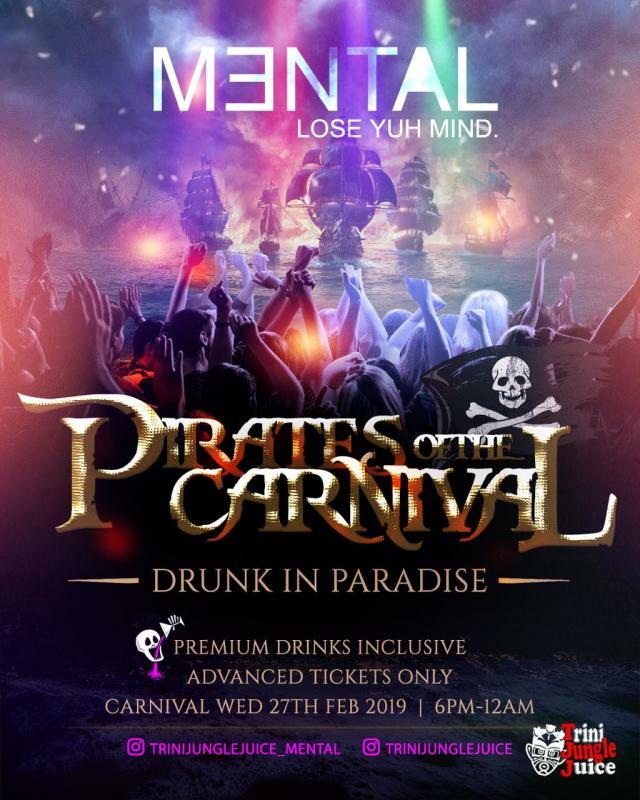 MENTAL IS NOT YOUR AVERAGE CARNIVAL PARTY. In fact, it’s the ONLY costume theme party for Trinidad Carnival. We strongly recommend you dress the theme, which creates a memorable event. In fact, for the past few years, more than 85% of our patrons dressed the theme. Don’t be left out. Male tickets are sold out, can I buy a female ticket? Men can only use male ticket. Females can access the event using either a female or male ticket. No you don’t need to print your tickets, the bar code on your phone will suffice. Inclement weather conditions may affect an event or travel to and from it, however there will be no refunds for unused tickets or for the loss of enjoyment caused by these weather conditions or any other “acts of God”. By purchasing this ticket, I understand that at this event or related activities I may be photographed. I agree to allow my photo, video, or film likeness to be used for any legitimate purpose by the event holders, producers, sponsors, organizers, and/or assigns.